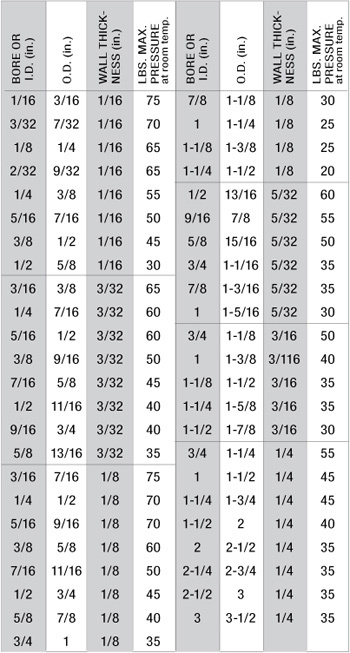 Corrosion Resistance Values/Comparisons: The following indicates resistance values for common tubings to selected reagents. This is a compilation of product performance observations conducted in testing laboratories and by field experience. Due to the variables involved such as temperature range, pressure and reagent strength, the information does not reflect exact corrosion factors. 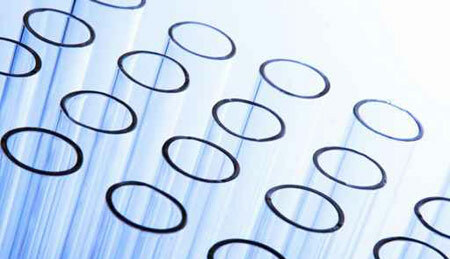 It will, however, assist in identification of proper tubing material for a particular application. Standard Packaging: O.D. to 1" available in 100 ft. coils. O.D. to 3" in 50 ft. coils. Non-standard sizes, special custom-cut lengths, colors, packages and reels, by quotation. Special colors and sizes of all tubings on request.